Are You Interested in Energy Efficient Dehumidifiers? If there are high levels of humidity in a home, it can cause a number of structural problems. Though many of the common issues with humidity such as feeling sticky and hot aren’t common in the Pacific Northwest. There are other concerns with moisture in homes, however. Microbes such as mold and mildew thrive in moist environments. This means that spots of mold can appear on your walls or even cause your foods to spoil faster. Dust mites are also more common and are especially irritating for people with allergies. Using a dehumidifier can significantly help with these problems and more. 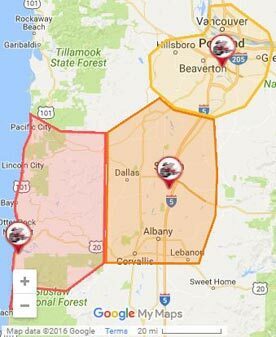 If you’re considering using energy efficient dehumidifiers in Beaverton, try The Killers Crawlspace Restoration first. We’ll help you get the best value for your home by choosing the right model and placement of your new unit. How does a dehumidifier work? Most people know that a dehumidifier pulls the moisture out of the air. But how do they do that? 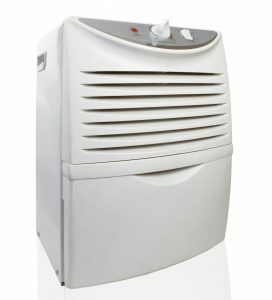 Simplified, a dehumidifier is made of a fan, compressor, coils, and a humidity reader. Warm air is pulled in through the fan and cools down when it reaches the coils with the refrigerant in it. This causes water vapor to turn into liquid, where it drips into the tank below, leaving the air with much less moisture. 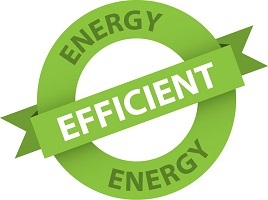 Energy efficient dehumidifiers work in conjunction with a heater or air conditioning unit. This is the reason that many of them come in one portable device. A dehumidifier helps with heating small sections of your home by reducing the amount of water in the air. The same principle also applies to cooling! By reducing the moisture in the air, the air feels cooler in summer. Dehumidifiers also work alone if the main issue is moisture. This is especially helpful after storms or with water damage. Energy efficient dehumidifiers reduce energy costs because they take less energy to operate than a traditional heater or AC unit. They work great in your crawlspace because of the naturally humid environment and can stave off more costly repairs. We’re the experts you need! We’re familiar with crawl space repairs, vapor barrier removal, crawl space restoration, and much more! Call or contact us and we’ll help you maximize your savings today!